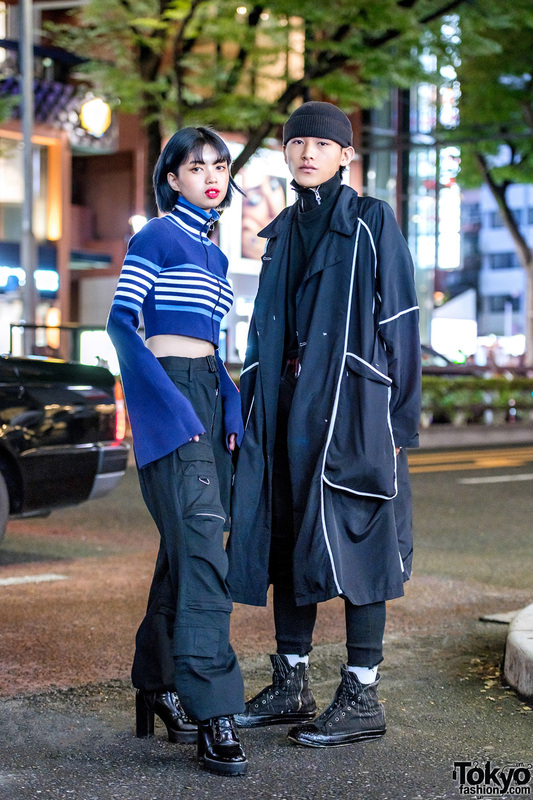 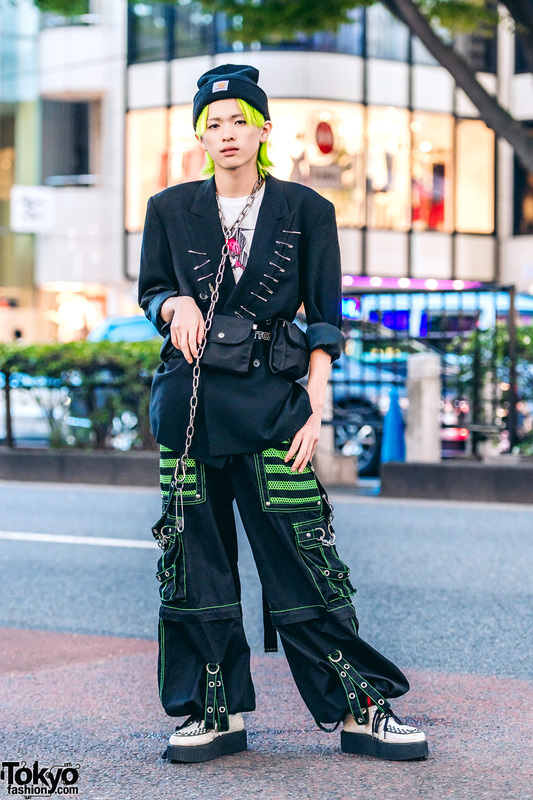 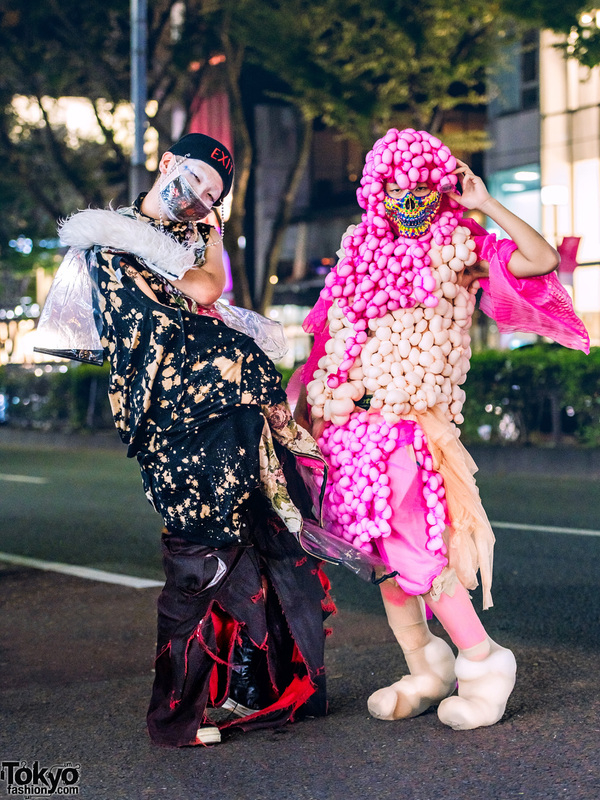 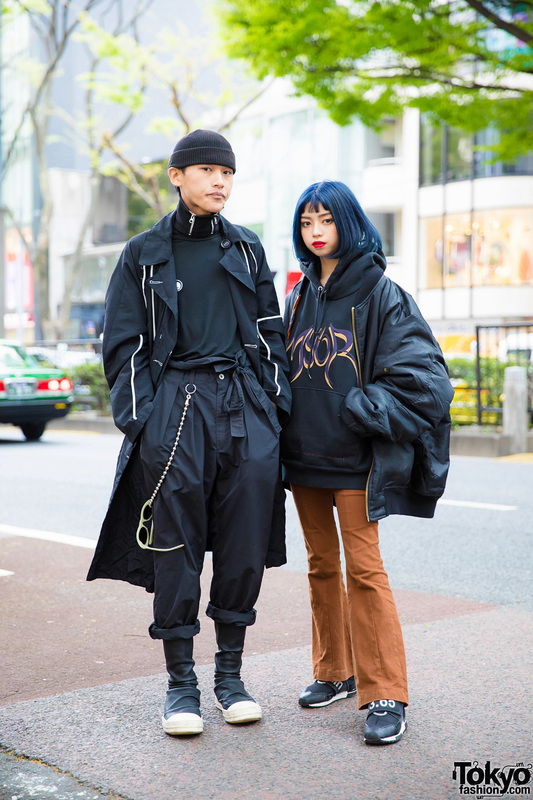 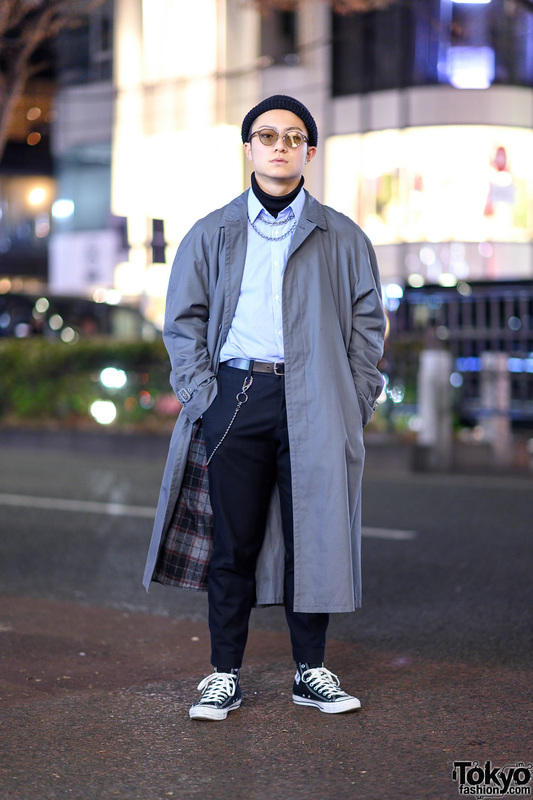 Harajuku guys showcasing impressive street style ensembles while out and about one afternoon. 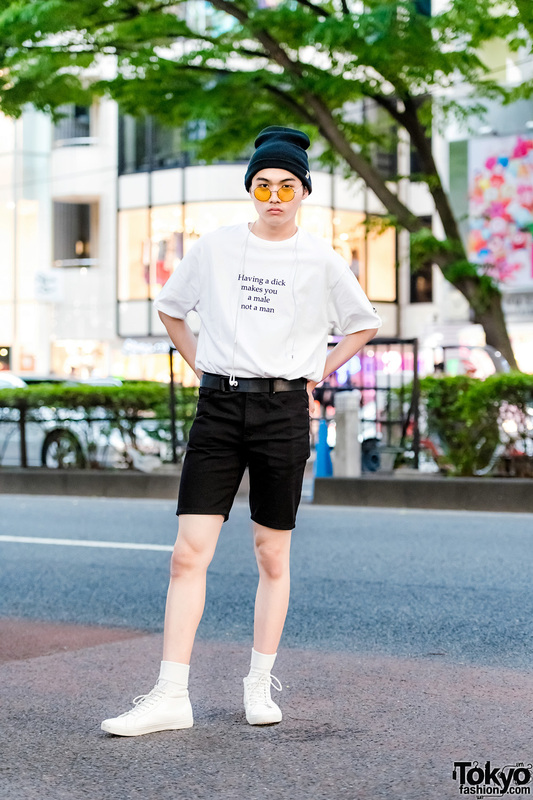 Harajuku student sporting a black ribbed beanie, white statement t-shirt, black slim shorts and white sneakers. 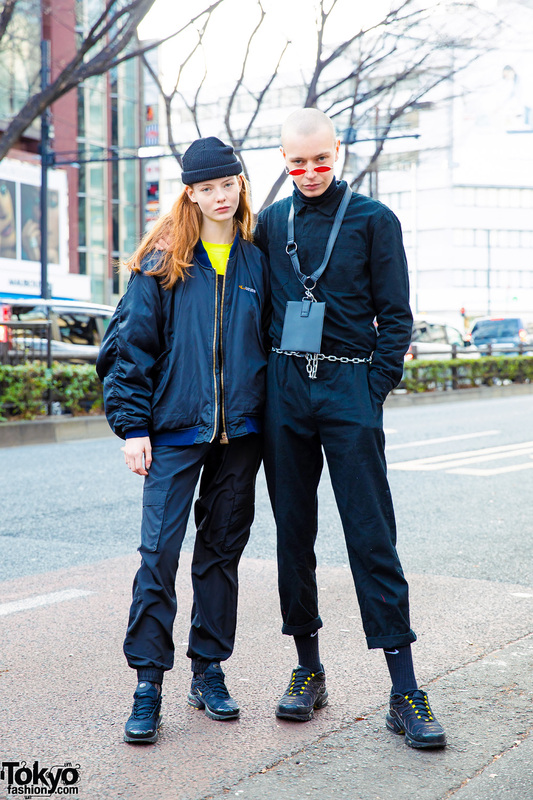 Blonde Harajuku girl sporting an all-black and minimalist street style with items by Comme Des Garcons.